This Premier League season will surely end up as one of the most memorable, and as we enter the final stretch there are still three teams involved in the title race. Three points separate leaders Liverpool and third-place Manchester City, with Chelsea sitting between them in second - things could barely be closer. City can temporarily go top of the table with a win at Everton on Saturday evening, and the 2012 champions are 1.70 with GR88.com to see off their opponents. Everton can be backed at 4.40, with the draw at 3.65 (all odds are subject to change). If Manuel Pellegrini's side win then the pressure will be on Chelsea, who are 1.21 to beat struggling Norwich City (14.50) on Sunday. Liverpool could be down to third before their next game, which takes place on Monday night against Crystal Palace, and the Anfield club (1.38) are favourites to see off their mid-table opponents (8.20). With the exception of Liverpool, all the clubs mentioned have recorded more than one goalless draw this season. But not to worry - a repeat showing in any of this weekend's games will see selected losing bets refunded as part of GR88.com's Nil-Nil Money Back Offer. 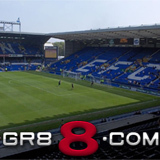 The promotion extends to all games in Europe's 'big five' leagues, as well as the Champions League, and full terms and conditions can be found at www.gr88.com/promotions.